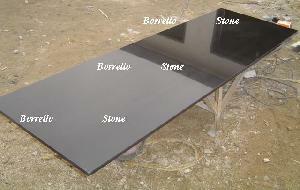 1) Slab: Random Sizes: approx: 60 x 200-250 x 2cm, 60 x 200 -250 x 3cm,... ect. 2) Tile: 12" x 12"; 12" x 24" (Thickness=1.0/1.5/2.0/3.0 cm). 3) Or as customers detail requirements. 4) Price Terms: FOB Qingdao, CIF. Address: No.162 Wenchang South Road, Laizhou city, Shandong province, China.